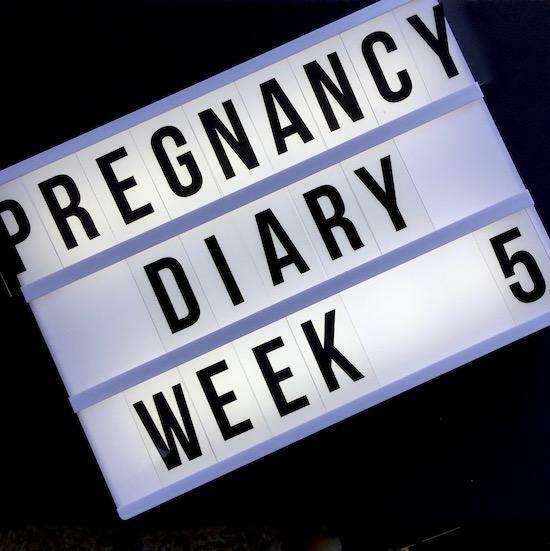 I completely missed out the early weeks when I was writing about my first pregnancy and realised, in hindsight, that really they were the most important. I think that once you get past the first trimester, you settle into your pregnancy a bit (though I still worry a ridiculous amount) and the symptoms and ailments decrease so that you almost – almost – feel normal again. But for the first few months, it can be a really lonely time – Googling every twinge and ache, checking for blood spots every time you use the loo. It can be tiring, stressful and, I suppose, if you don’t have the right support, very scary. “Week 5. Already feeling jittery. Every tiny cramp and twinge makes me panic. I remember, after Angelica was born, that I wanted to write a “guide to surviving the first twelve weeks”, but it’s all very well being so cocksure when the baby is born and safe. A different matter altogether when you’re in it. Maybe I should write it now and try to follow my own guidelines! “Wow. Was I really this hungry and this tired last time around? I can’t believe I was. [Ed: I was.] I’m going to have to hunt out my diaries in the office and see. I can honestly barely function. It’s making me feel very apprehensive about how I’ll manage things with two babies. I keep thinking about asking my Mum to move in and I haven’t even gotten through a week yet!